This SIG is led by Umair. He is a Data Management Professional, focused on open source software, with over 14 years of experience and has served some of the highly competitive software markets globally. With his experience of managing teams for software product releases and lust for continuous improvement, he brings in lot of value to the OPEN team. What does the PostgreSQL community look like? PostgreSQL is well supported by an active community, taking care of various aspects of progressing the database like administration, announcements, jobs, performance, and SQL. The community is headed by a core team of 6 PostgreSQL gurus, supported by major contributors and core committers. Lots of people across the globe (the exact number is dynamic) contribute towards the project as hackers, developers, & advocates. It may come as a surprise to many, but Islamabad has cultured a thriving community of PostgreSQL hackers over the past decade or so. Major corporates supporting and promoting PostgreSQL have employed people in Islamabad to help with their cause. OPEN’s PostgreSQL SIG seeks to bring these people together with anyone who is interested in using PostgreSQL, has problems associated with PostgreSQL, or simply wants to increase his knowledge about the DBMS. In today’s world, databases are at the very core of the software business and recovering quickly from a database disaster is absolutely critical for business continuity. Downtime translates into direct revenue loss. If you run your business critical application on PostgreSQL backends, this talk covers important topics on what you need to know to perform a recovery operation of your company’s business critical PostgreSQL server using Barman, Backup and Recovery Manager. 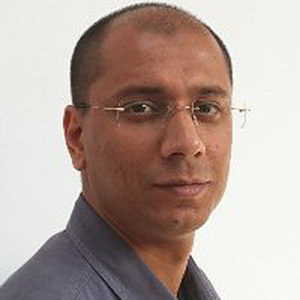 Muhammad Haroon is a PostgreSQL Consultant at 2ndQuadrant. Over a decade of experience in analyzing, designing/ developing applications, deployment, testing, configuration management, research and code reviews on diversified domains, platforms and technologies he is specialized in Database management, PostgreSQL, Technology Management,Business Intelligence, ETL, Configuration Management, VOIP & IVR based applications, SMS based applications,Call Center Solutions, Middleware, Databases. PostgreSQL provides a way to communicate with external data sources. This could be another PostgreSQL instance or any other database. The other database might be a relational database such as MySQL or Oracle; or any NoSQL database such as MongoDB or Hadoop. To achieve this, PostgreSQL implements ISO Standard call SQL-MED in the form of Foreign Data Wrappers (FDW). This presentation will explain in detail how PostgreSQL FDWs work. It will include a detailed explanation of simple features, and will introduce more advanced features that were added in recent versions of PostgreSQL. Examples of these would be to show how aggregate pushdown and join pushdown work in PostgreSQL. The talk will include working examples of these advanced features and demonstrating their use with different databases. These examples show how data from different database flavors can be used by PostgreSQL, including those from heterogeneous relational databases, and showing NoSQL column store joins.